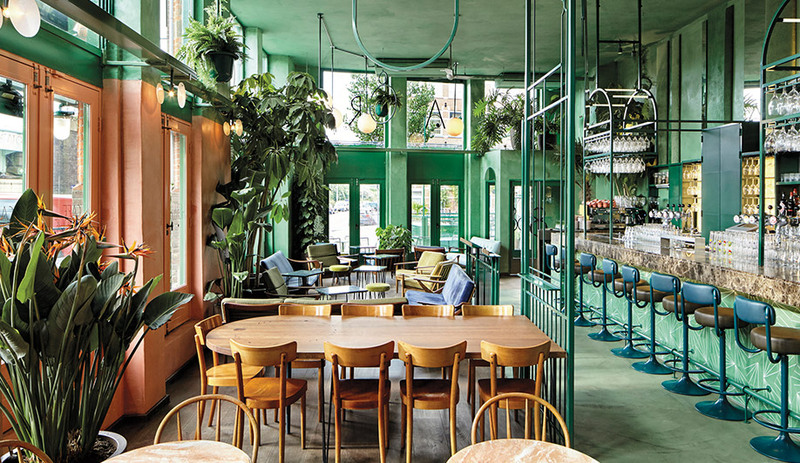 Vintage furniture; large, potted tropical plants; and green walls give the bar and café a look that feels both old and new. Hexagonal tiles, by Claesson Koivisto Rune for Marrakech Design, line the bar area, and mirrored mobiles reflect the space onto itself. 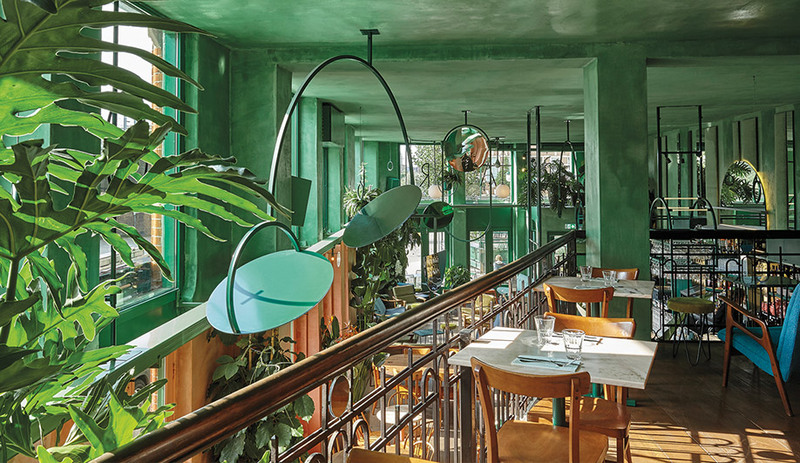 How Studio Modijefsky reinvented a popular corner café by channelling the tropical vibes of Marrakesh. Bar Botanique gives Amsterdammers a taste of the tropics in their own back garden. 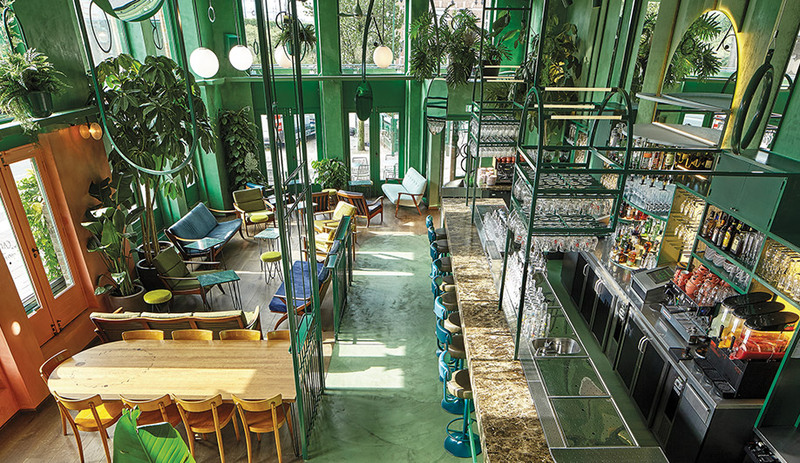 Straddling kitsch and cool, the interior is an explosion of greenery, textures and an array of mid-century modern furniture. 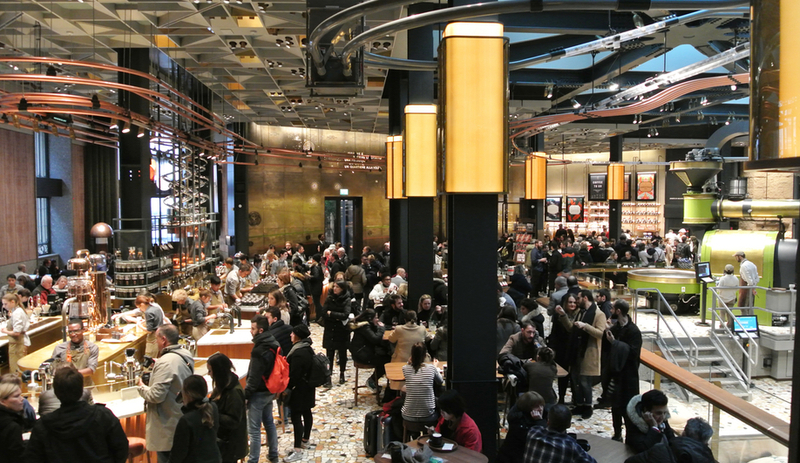 Designed by local firm Studio Modijefsky, the all-hours café perfectly fits the eastern district, affectionately known as Oost. The café’s predecessor, De Ponteneur, was the go-to haunt in the area for more than 25 years, and for much of that time, the only place to go. The prominent corner site provided an ideal spot for watching the neighbourhood pass by, and it brought together diverse residents who treated the beloved fixture like a community living space. Its transformation into Bar Botanique is part of a wave of retailers that are now opening in the area: a clear sign young professionals are moving in. Studio Modijefsky was keen to keep the social aspect of the building intact. “We were looking to make the most of its qualities, especially its high ceiling and large windows,” says studio founder Esther Stam. 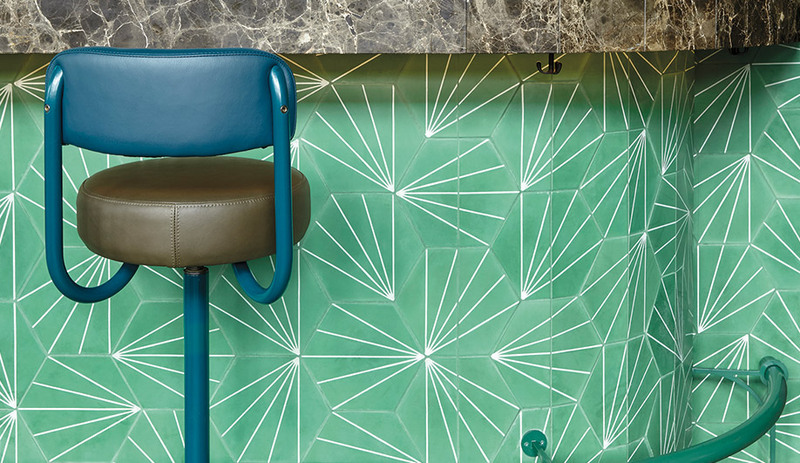 Diners now enter a lofty lounge where a green concrete path connects a marble-topped bar and a casual seating area. It then leads to a lower-level dining area and mezzanine at the rear. Restored double-height French doors line the facade, flooding the interior with daylight and opening the café to the railway that runs beside it. Green metal railings playfully structure the space, taking their cues from existing balustrades. 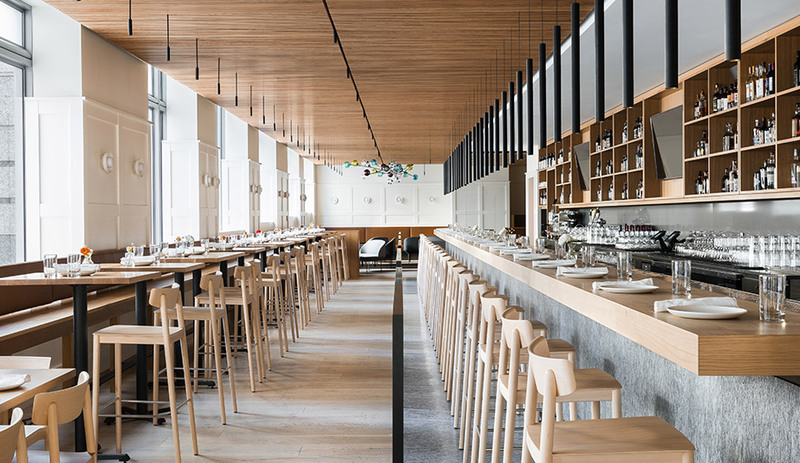 Enlarged, the balustrade’s circular pattern becomes a motif for other elements, including arched glass racks at the bar and suspended wall mirrors that reflect flickers of speeding trains. 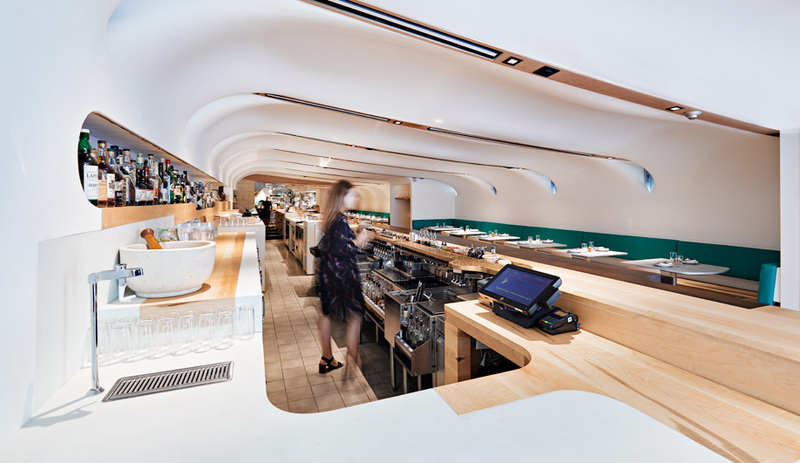 While the mezzanine offers views of the bar and street, the dining area below, with pink walls bathed in warm light, is intimate by comparison.